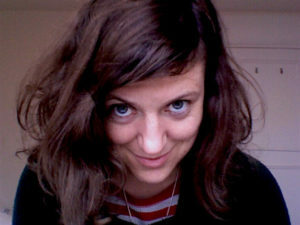 Zillah Bowes is a writer and filmmaker. She has won the Wordsworth Trust Prize and Poems on the Buses Competition, and was shortlisted for the Wasafiri New Writing Prize, Alpine Fellowship and Listowel Poetry Awards. She has received a Creative Wales Award and was a Hay Festival Writer at Work. Her poems have been published in Mslexia, Wasafiri, The North and The Next Review, among others. Her films include Small Protests, nominated for a Grierson Award, which won the Current Short Cuts Award. She is writing a first poetry collection and several screenplays. Zillah is based in Wales and works regularly in London. Congratulations on being shortlisted for the Manchester Poetry Prize 2018. How did that feel, and what were the origins of your shortlisted poems? Thank you. It was really an honour to be shortlisted, especially with such esteemed judges. After the initial shock, I was happy these poems would be read and heard as they’re about a place that’s important to me. I lived for a few years in the mountains in southern Snowdonia and wrote the origins of them not long after I left, about a year and a half ago. I think I was trying to make sense of how a place and people, in nature, can work on you internally, and how you can access what’s underneath or beyond them. I wrote the text in one sitting but took a long time to edit it. What’s interesting is that the rhythm and language in the poems now are almost the same as in the original text, just with many sections taken out. Could you talk through your artistic influences, and how they have helped shape your poetry? That’s a hard one to answer briefly! Apart from being a Plath fan as a teenager, I first read poetry seriously in French and German as I studied languages before going to film school. So the classical poets we studied in such detail must have influenced me! I’m thinking particularly of Rilke and Verlaine’s use of music, and Rimbaud’s use of colour. Later I started to read contemporary poets in English and have been inspired by many – I wouldn’t have started writing poetry without them. Alice Oswald has been a great influence because of how she writes, in a way, out of nature, as well as Pascale Petit, Seamus Heaney and Ted Hughes even. Also Anne Carson, Claudia Rankine, Daljit Nagra, Ocean Vuong and Sarah Howe – I’m interested in how they’ve personalised form, made it integral to meaning. You have had a successful career as a filmmaker, how different is the creative process in poetry and film? It depends I think. The production part of film, which involves collaboration at most stages of both fiction and documentary, is very different to poetry. But the initial writing process, the generation of original material, can be similar. In both, you’re often alone, interrogating yourself, not knowing. The writing itself – the work generated – is of course very different, and a script is usually collaborative, just not during the actual writing of it unless you have a partner, which poetry isn’t. I’ve found the practice of writing poetry has benefits in script and picture editing, such as precision with language and following a concept line. At a basic level though, for me, the impulse to make all work often seems to come from images. I seem to think in images and, however I capture them – in a poem, script or through a lens – the seeing of them in my mind seems to be the same. How important is a sense of place to your poetry? Quite a lot of my work has been inspired by the place in the poems, a village near the mountain Cader Idris in mid-Wales. It’s where I first started to write seriously and being there had a remarkable effect on me, transforming me. It’s also where an ancestor of mine worked as a gold miner and naturalist, which is in one of the poems. I think this place, as a place in nature, inspired me partly because I was curious about the details in it but mainly because I felt completely inside it. I grew up in the countryside and had a way of being in nature then that seems similar. My sense is that, as a child, I didn’t feel separate from it, or a part of me didn’t, and could enter it wholly somehow. It’s as if this was dormant in me as an adult and woke up. I think I was trying to explore the change in myself, which was quite radical. But I’m also writing about things other than place and nature, and looking at how they might work in a collection. I’ve travelled a lot with my film work, especially documentaries, and would like to write about this too. Right now I’m just about to start reading some of the poets on the TS Eliot shortlist. I’m especially excited about the debut collections by Zaffar Kunial, Richard Scott and Hannah Sullivan. I enjoyed reading Zaffar’s and Richard’s pamphlets but haven’t read anything by Hannah yet, who won the prize. I’m also reading a variety of books on darkness and astronomy for research. What next? What projects are you working on currently? I’m at the very beginning of some new poetry writing about darkness and putting together my first poetry publication. Apart from this, I have a fiction film set in rural mid-Wales in development with Ffilm Cymru Wales, part of the BFI, and am in the early stages of a photography project in the same area. You are able to see he shortlisted poets here for the Manchester Poetry Prize here. The winners will be announced on the 1st February. Submissions are now closed for all HeadStuff poetry categories, including Poem of The Week, Unbound, and New Voices. We are still open for submissions of reviews, essays and interviews, please email pitches to [email protected] Please keep checking our submissions page below later for news about upcoming submission calls and competitions later this month.